Looking for a better answering service? 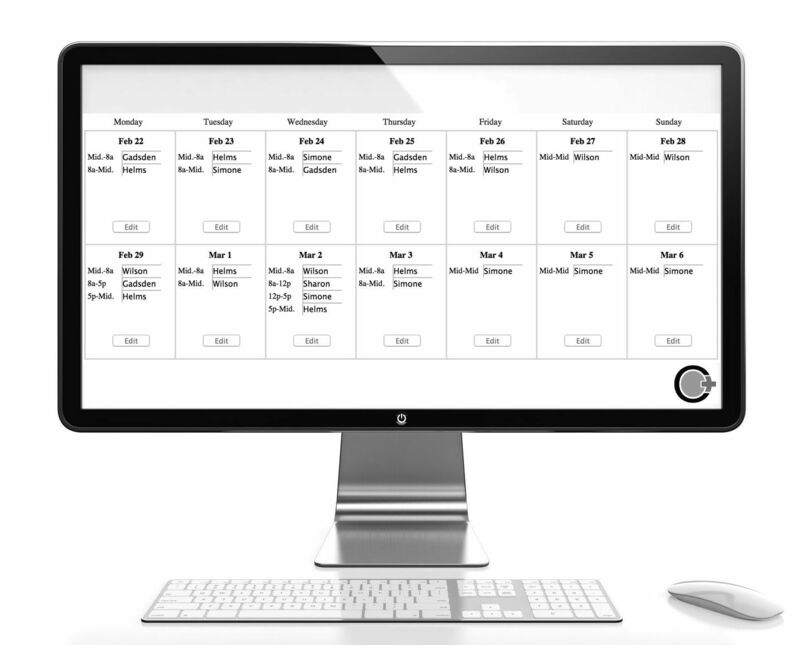 One that puts you in complete control, where a schedule change is as simple as a couple mouse clicks? You’ve come to the right place. Comm One OnCall is a fully-automated online medical answering service, designed to answer the after-hours or daytime calls for physicians. Instead of using traditional live operators who are prone to making mistakes, dropping messages, paging the wrong doctor, and generally aggravating everyone, Comm One OnCall uses a carrier-grade, high-reliability, hosted IVR (Interactive Voice Response) platform to answer your incoming calls. 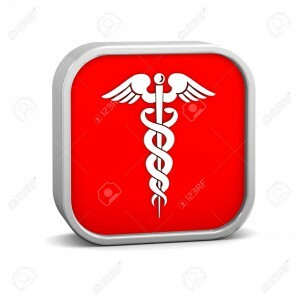 Calls are answered and processed according to the specific call script associated with your account, and the scheduled on-call doctor is immediately notified by text message and/or pager. By removing the traditional human operators from the call answering process, we have created a unique system that is quicker, more efficient, extremely reliable, and refreshingly easy to use. This is what sets us apart from (and above!) most other traditional agent-based services; instead of relying on error-prone human operators to answer your calls, our system runs on a hosted IVR platform which answers each and every one of your calls, consistently, and on the first ring, every time. Your practice’s on-call schedule is available online, where you can easily access it via a user/password login. The flexible shifts allow you to set up to 5 shifts per day, or you can keep it simple with just one. You can program your schedule weeks or months in advance. The call script used to answer your calls is completely customizable, everything from the initial greeting the caller hears, to voice mail options and beyond. We pride ourselves on making sure our system works for your specific call answering needs, whether simple or complex. You tell us what you want changed, and we make it happen. Our service fits any size medical group, anything from a single-doctor medical practice up to dozens of doctors. You add each doctor in your group into our online Practice Configurator software; once added, they are eligible to be inserted into shifts in your online call schedule. Plus, we don’t charge extra for additional providers. We consider reliability and consistency as the number one priorities here. Our system runs on a platform employing multiple redundant geographically-dispersed servers and network operation centers…which is a fancy way of saying: Its always ready to answer your calls, every minute of every day, 24/7/365. We were seeking a computerized call answering service to replace our 'live operator' service, and Comm One was a perfect fit for our medical practice. Setup was easy and the system is very user-friendly. It can be customized to meet more specific needs, and we found Comm One to be more reasonable than our present service. I would not want to go back to human operators...I love the text messaging that makes it so easy for me to dial in, get a message, and respond back to my patient. And, it probably saves me $50-100 per month over traditional answering services. We were using an expensive system with human operators that didn't always seem to get the right phone number or story and wanted to look at alternatives. We have some special needs, being a large practice with multiple sub specialties, and these guys were able to customize a solution for us that works great and saves a lot of money. I was extremely pleased with how Comm One OnCall was able to customize the automated paging system to suit the individual needs of my hospitalist group. It is quick, flexible, and very reliable. I would definitely recommend it to any physician who is frustrated with traditional live-operator medical answering systems. We started using Comm One OnCall last year and are very happy with the service. It is easy to use, reliable, and has excellent customer service. Thank you Comm One for making our doctors' busy lives a little easier. I can't thank you enough for the great service. It's nice to know that 'service' still means something to some people. We are very satisfied with the product and even more so with the support that we have received. Any questions or issues that I have come up with were immediately addressed by Comm One. I would highly recommend this product to anyone looking for a reliable, cost effective solution. Comm One’s support and ability to respond to my requests has been more than excellent. The paging/answering service provided has been good so far, with no complaints from any of our staff. And the customer service you’ve provided on my end has been helpful as always. Thank you! Your service has been working so well for us that we are actually going to cancel our live operator-assisted service and use Comm One exclusively. No setup or startup fees, whatsoever. And your first month is completely free. Absolutely not. The contract is month-to-month, so you can cancel any time. We prefer to keep you with a fantastic reliable service and great support, not by locking you into a long term contract. What devices does this work with? Our service works with all modern smartphones, and all pagers. Our system typically sends out SMS (text) or MMS messages to your smartphone. And we support virtually all the paging companies. Is this quick and easy to set up? You’ll be impressed with how easy this is to set up and get going. Once you go into our online Practice Configurator and spend a couple minutes entering your medical practice info, we can attach a toll free number to it, so you can dial in and see how it sounds and how it works. We can oftentimes get your toll free number attached within an hour or two. Click the ‘Get Started‘ button at the bottom to get rolling. How do we get our calls to your service? You forward your calls to our service the same way you would for a traditional operator-based answering service. We give you a unique toll free number on our system; at the end of your business day, on holidays, or whenever you wish, you forward your phone number to our service. From that point on, all your calls are handled by our service, answered on the first ring every time. What about multiple departments / sub-specialties / other categories? The call script is quite flexible, and can support different specialties, departments, or whatever you require. As as example, it could say: “If you are a new patient and are calling for an initial consultation, press 1. For retina issues, press 2. For other eye emergencies, please press 3”. The call notification could then be routed to a different doctor, depending on what choice the caller entered. We’ve done a handful of custom call scripts for our clients, and would encourage you to contact us about your requirements. If you’d like it to, your call script can handle your “non-urgent” calls slightly differently, i.e. by taking a voice message and delivering it to the office email address to be handled the next business day. After all, theres no point in waking up the doctor in the middle of the night for a prescription-refill call or an appointment change call. (of course, we can also completely remove the non-urgent option from your call script, if you don’t want it…). What specifically happens when our call is answered by your service? The below call-flow is only a typical example; please keep in mind that your call script is flexible and customizable. Our system then captures the caller’s Caller ID number, and plays a message such as: “We recognize your number as 843-555-1234. Press 1 to have the doctor return your call at this number. Press 2 to enter a different number.” Usually the caller will just press 1, but they always have the option to enter a different call back number. Next, the caller is asked whether this is a ‘non-urgent’ message, in which case they can leave a voice mail which will be delivered to the office the next business day. This is a good way to separate the truly urgent calls from the routine “prescription refill” or “appointment change” calls. Urgent calls will of course notify the doctor immediately while non-urgent calls wont. Thats about it for a typical call, but again, keep in mind we can script your call flow however you’d like. Want to remove the question about non-urgent calls? No problem. Want to remove the question about “patient caller” vs “professional caller”? No problem. Or perhaps you’d like it to ask the caller if they are a “new patient” vs “existing patient”. Its all doable. Does this service come with a smartphone App ? No, there is currently no smartphone app for our service. Is your service well supported? Yes, support is top-notch. Just because we don’t have live operators fielding the answering service calls doesn’t mean you can’t talk to a live person if needed – you certainly can. If interested, read a few of our user testimonials for comments on the support they receive. Can I hear what this sounds like before signing up? Yes. Our demo dial-in number is: (877) 752-1052. Keep in mind this is simply our “standard call script”. If needed, we can customize a call script for your group, to best suit your needs. Can we use your service as an 'Always On' number? Yes, certainly. If desired, you can use your toll free number on our service as an “always on” service that is ready to receive your calls around the clock, 24 hours a day. This is useful for hospitalist groups and such that want to give out their own toll free number to reach them anytime, without using an office number to forward those calls. 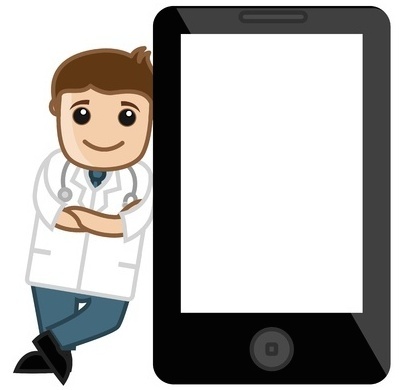 Can patients (or other callers) send a text message to our number? Yes, on special request, we can setup your toll free number as text (SMS)-enabled, so incoming text messages will be routed to your current on-call doctor. This allows you to have your own unique toll free number for your medical group that is both voice-enabled and text-enabled. Granted, this isn’t the typical answering service functionality and most of our clients don’t need this…but it IS doable, if thats what you need. Get started by creating a new practice in our Practice Configurator web portal. It only takes a few minutes. Once you create a new practice, we’ll attach a new toll free number to it, so you can dial in and demo our service. Quick and easy. No obligations. And if you wind up using our service, the first month is on us – no charge.